The Vasari Corridor is a fascinating, elevated secret passageway that connects the Palazzo Pitti to the Palazzo Vecchio. First constructed in 1565, designed by Giorgio Vasari, the corridor was built in only five months and helped to keep the royalty of Florence unseen and untouched by the Florentine citizens below. The exclusivity of the passageway ingrained an even deeper dividing line between the upper and lower classes of Florence. 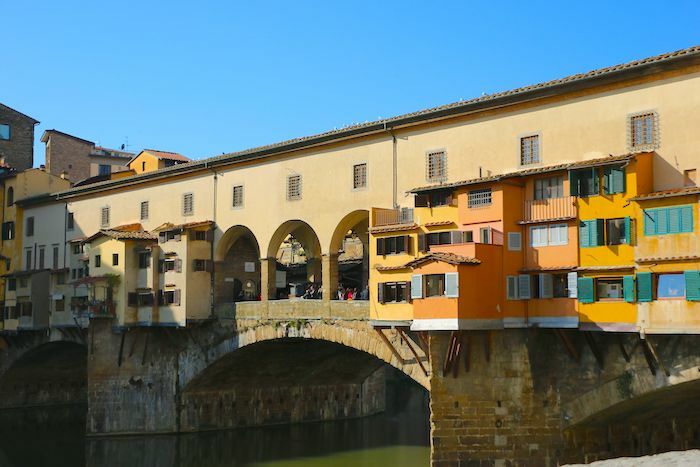 Read below to find out more about the Vasari Corridor, the mysterious passageway above the Ponte Vecchio. 1. 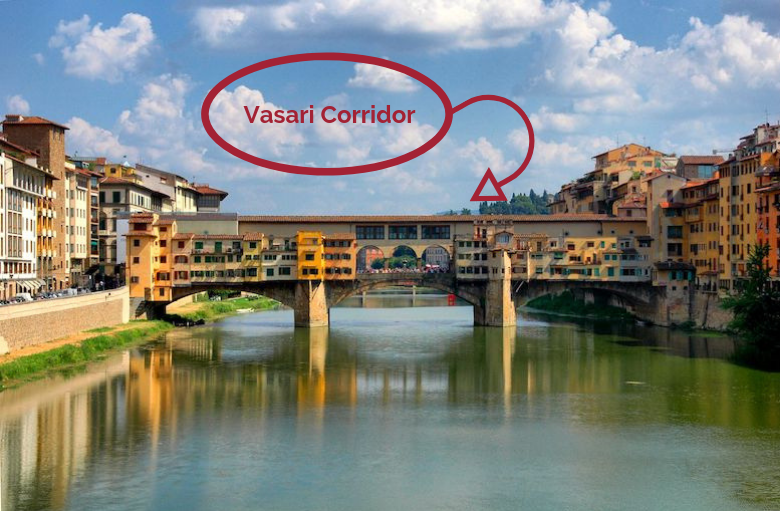 What is the Vasari Corridor? 2. Which two palaces did it connect? 3. Who was able to access the Corridor? Though we wish we were as exclusive as the Medici Family was back in their prime, we do not yet have access to the Vasari Corridor, as it’s not open for travelers right now. 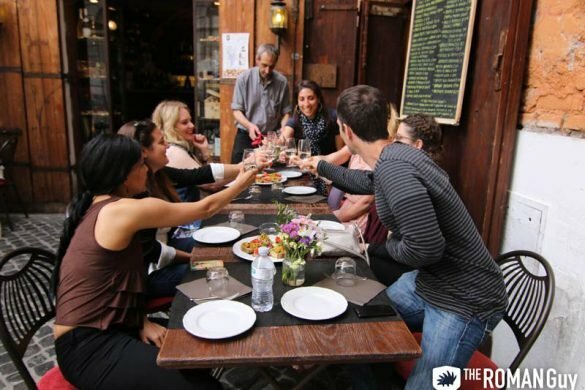 We do, however, have skip-the-line access to some of the best sites in Florence. 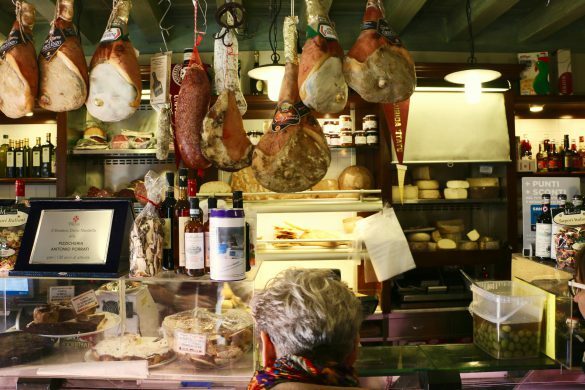 See Michelangelo’s David, explore the Florence Duomo and experience the city’s best cuisine on our best Florence tours. At the time of the Corridor’s construction, the Medici Family held the power in Florence and Duke Cosimo I de’ Medici commissioned the Vasari Corridor. Cosimo wanted to move freely from his house to his work without being surrounded by common people. His solution was to build a corridor between Palazzo Pitti and Palazzo Vecchio that only the Medici Family could access. The Vasari Corridor hovers over the Ponte Vecchio (old bridge) where a bustling street market lives. Directly underneath the corridor was the meat market of the Ponte Vecchio. The poultries’ stench irritated Duke Cosimo so much that he had the meat market moved entirely. Although the main purpose of the corridor was to serve as a convenient addition, it also reflected the power and privilege that the Medici Family held within the Florentine Republic. Over time, the Vasari Corridor has been through some changes, some deliberate, some not. For example, in 1939, Benito Mussolini replaced the original windows with bigger ones. Mussolini replaced them after Adolf Hitler visited and suggested that there be more of a panoramic view of the Arno River. A few decades later, the Vasari Corridor became a part of the Uffizi Gallery, housing some of the museum’s famous self-portraits. In 1993, the Sicilian Mafia terrorized Florence, bombing part of the Uffizi Gallery and with it, destroying some of the Corridor. Unfortunately, some of the paintings were damaged beyond repair but those that could be salvaged were pieced together and remain showcased as a reminder of the horrific event. 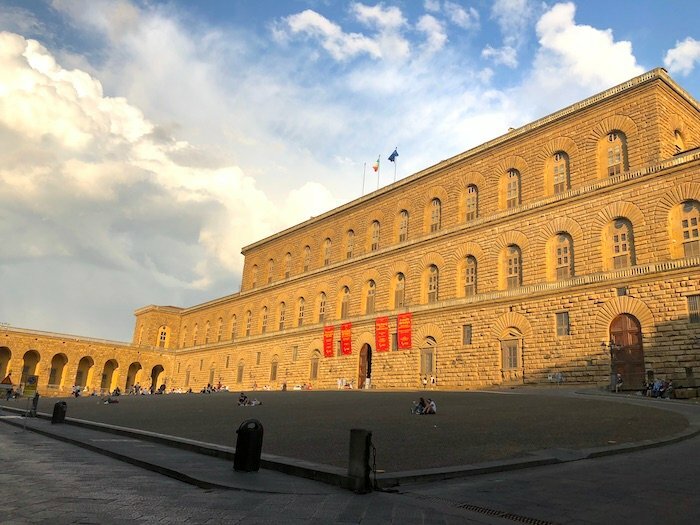 As said above, one of the buildings that the Vasari Corridor is connected to is the Palazzo Pitti, also known as the Pitti Palace. Palazzo Pitti got its name from its commissioner, Luca Pitti. Over the centuries, many people have studied the architecture and have had theories about who had designed the palace. However, the architect of Pitti Palace remains unknown to this date but is still heavily praised for his intentions to go against the modern designs of architecture at the time. 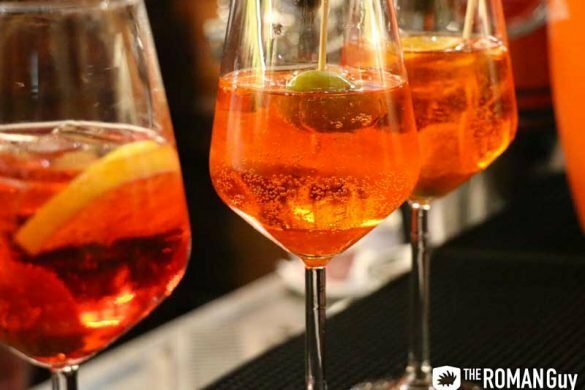 The palace is located on the southside of the Arno River and is known for its beautiful Renaissance structure. The palace was bought by the Medici Family in 1549. From there on out, the palace became the main residence for the families that ruled the Florentine Republic, the Grand Duchy of Tuscany. Now the palace serves as a museum showcasing the various luxurious items that some of the prestigious families left behind. The Palazzo Vecchio is the other building that the Vasari Corridor connects. 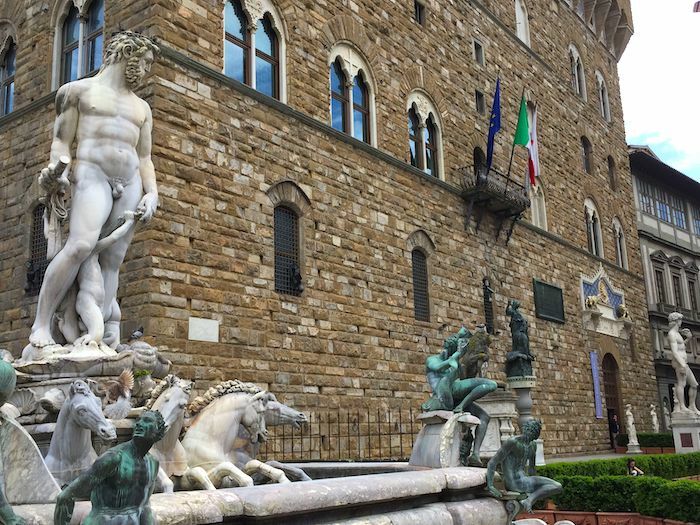 The Town Hall of Florence, Palazzo Vecchio was where all of the government and business took place during the Renaissance period. The building encompassed all of the ruling body of the Florentine Republic at the time and served as a hub for the people of Florence, especially since it overlooked the Piazza della Signoria, the town square. The Palazzo Vecchio was famously designed with a clock tower operating with one hand and an extravagant ornamental marble frontispiece placed effortlessly over the entrance. Now, the building serves as a museum as well as a symbol for local government, housing the mayor of Florence office within the walls. The family that started it all. The Medici Family rose to power from their already distinguished reputation as a huge Italian banking family. Cosimo de’ Medici set the royal tone as the first Duke inducted into the Florentine Republic, reigning for the first half of the 15th century. 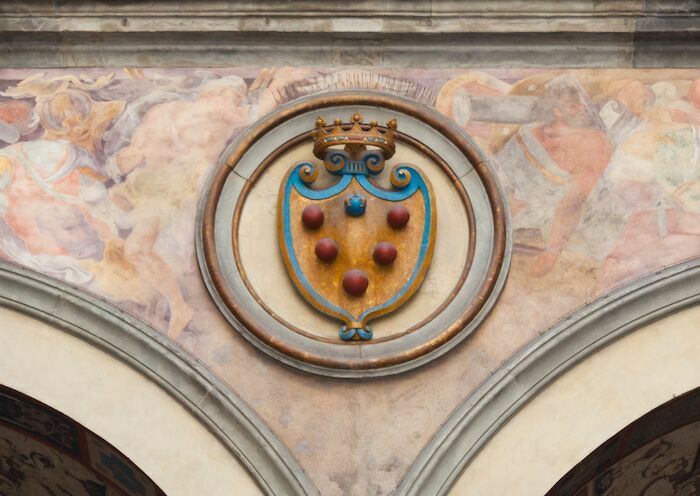 The Medici Family ran the largest bank in Europe during the 15th century. Unfortunately, the Vasari Corridor is closed right now but will reopen to the public for tours and walkthroughs in 2021. Because of this, the passageway’s exclusivity only grows stronger.